Debra Purdy is a fellow Imajin Author and member of Crime Writers of Canada.We also share similar views on covers and crafty killers. As you probably know, book covers are really important to authors, publishers, and readers. 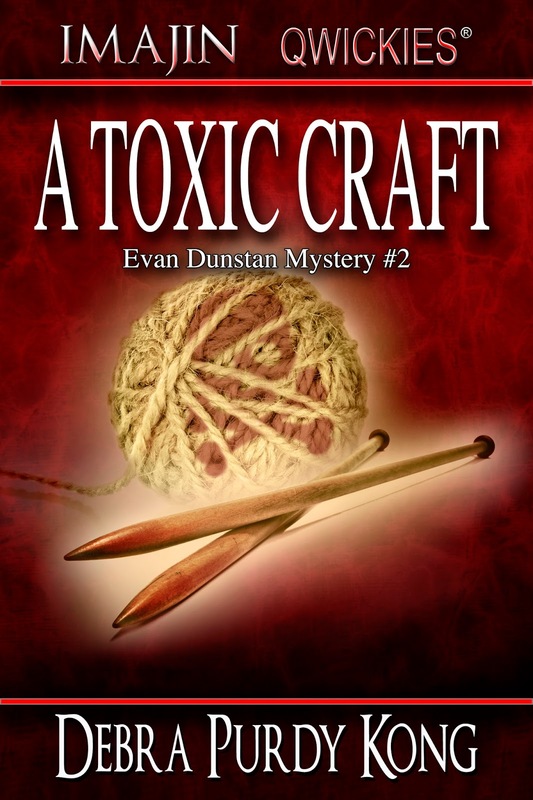 This fall, I learned that writing a mystery about seniors who’ve developed a nasty rivalry over their knitted products presented a challenge for my publisher’s cover designer. 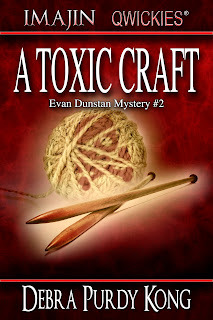 After going back and forth with ideas, I’m very happy with the image, especially since a ball of wool and bloodied knitting needles is not your typical mystery novel cover! In A Toxic Craft, no one uses a gun. After all, this is a cozy mystery set in Canada, where most citizens don’t own firearms. Security guards like my protagonist Evan Dunstan aren’t permitted to carry them. When I worked in campus security, I remember my supervisor saying that the day guards are allowed to carry guns is the day she’ll quit. Most murders in Canada—that aren’t gang related—seem to involve knives. Although, before I became a security guard, a young woman was killed with a crossbow at the post-secondary site where I wound up working. The only violence I experienced, however, was a chair thrown at an employee by a frustrated student. In this book, the hostility ramps up for Evan. Several attempts are made to get rid of nasty knitter Cora Riddell in a variety of ways. The inspiration for my cover comes from a threat near the beginning of the book, when a knitter named Flo threatens to stab Cora with a knitting needle. Does it actually happen? Well, that’s part of the mystery, isn’t it? Debra Purdy Kong’s volunteer experiences, criminology diploma, and various jobs, inspired her to write mysteries set in BC’s Lower Mainland. 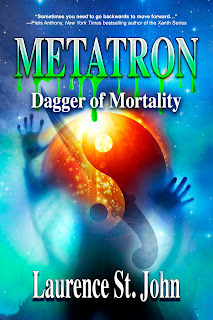 Her employment as a campus security patrol and communications officer provide the background for her Evan Dunstan mysteries, as well as her Casey Holland transit security novels. 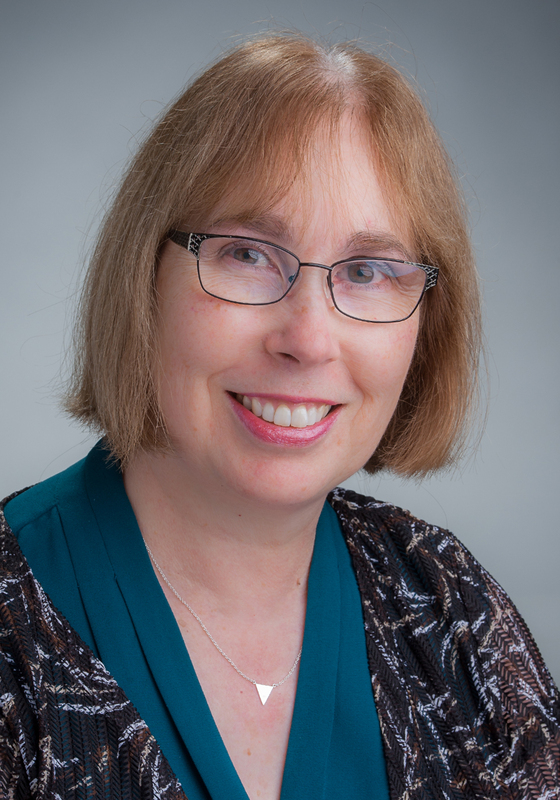 Debra has published short stories in a variety of genres as well as personal essays, and articles for publications such as Chicken Soup for the Bride’s Soul, B.C. Parent Magazine, and The Vancouver Sun. She assists as a facilitator for the Creative Writing Program through Port Moody Recreation, and has presented workshops and talks for organizations that include Mensa and Beta Sigma Phi. She is a long-time member of Crime Writers of Canada. Be the first to know when Debra Purdy Kong’s next book is available! Follow Debra at https://www.bookbub.com/authors/debra-purdy-kong to receive new release and discount alerts. Thank you for hosting me today, Alison. I really appreciate it! I suppose a day early is better than a day late. Thanks for contributing an article. You are so right about covers. Maybe you can't always tell a book by its cover, but you should be able to.